So far I’ve only scratched the surface and I haven’t been able to create anything of value other than a really simple todo-list app. My first ever iOS App in production. 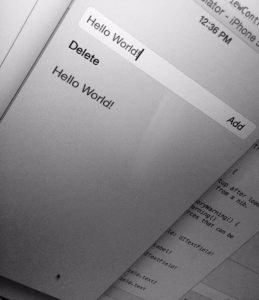 Next step is to dive into the Swift 2.0 course and then try to add some features to the todo list app.